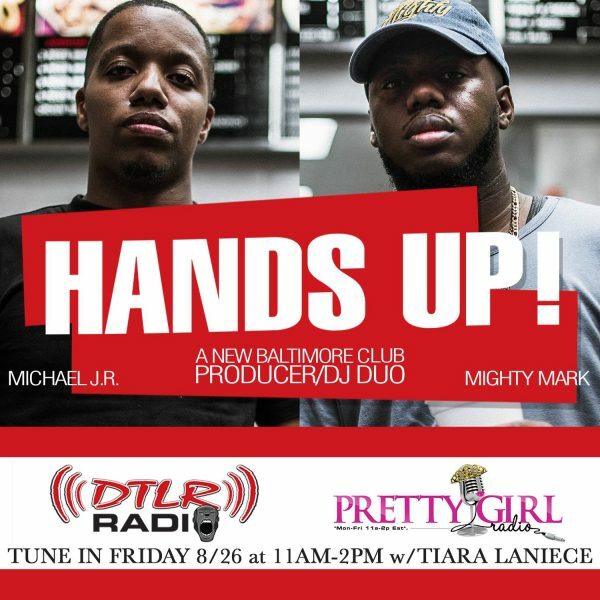 Tune in to Pretty Girl Radio hosted by Tiara LaNiece Friday 8/26 featuring special guests Hands Up! (Michael J.R. & Mighty Mark) 11AM-2PM EST. They will be discussing be talking about the future of Club Music, Baltimore’s Sound & there new EP “KXNG”. We’ll also be premiering two of our tracks live Superstar(feat Corrie Little and Lor J.R.) and Free(feat Miz Jaxxn).